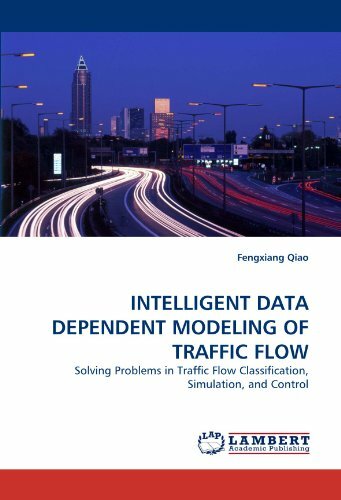 In this book, several intelligent data dependent (IDD) approaches are applied to relevant modeling problems in the classification, simulation, and control of traffic flow. The studies cover a wide range of traffic flow systems including the analyses of freeway mainline flow, freeway ramp metering system, roadway flow disperson between intersections, and flow simulations at signalized and unsignalized intersections. Most of the proposed approaches reflect recent and advanced technologies in relevant research fields (e.g. computer science, control engineering), which are intelligent and robust to the changing physical environments. The structures and parameters are determined based on surveyed or simulated data sets. Compared with the conventional physical approaches (or models), they are smarter and more widely suitable to the varying traffic conditions. The simulation studies and field data validations illustrate the satisfactory performances of these approaches. Promising applications in the management, control and auto- guidance of traffic flow within the Intelligent Transportation System (ITS) are expected. Dr. Fengxiang Qiao obtained his Ph.D. in Civil Engineering majoring in Transportation from The Hong Kong University of Science and Technology in 2000. He is an expert in Artificial Intelligence and Intelligent Transportation System, and an Assistant Professor in the Department of Transportation Studies at Texas Southern University, USA.